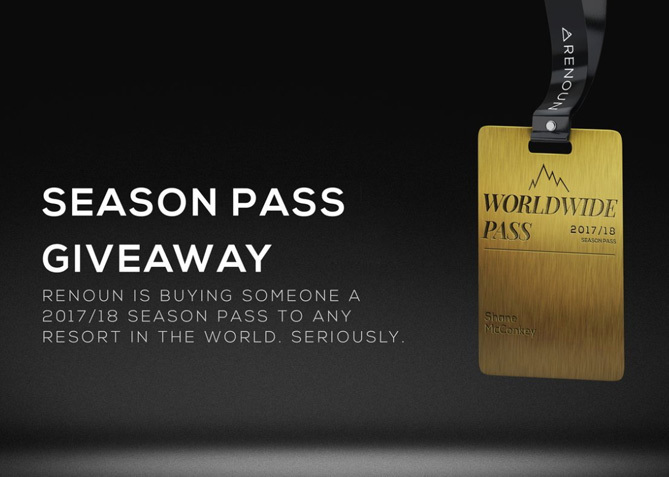 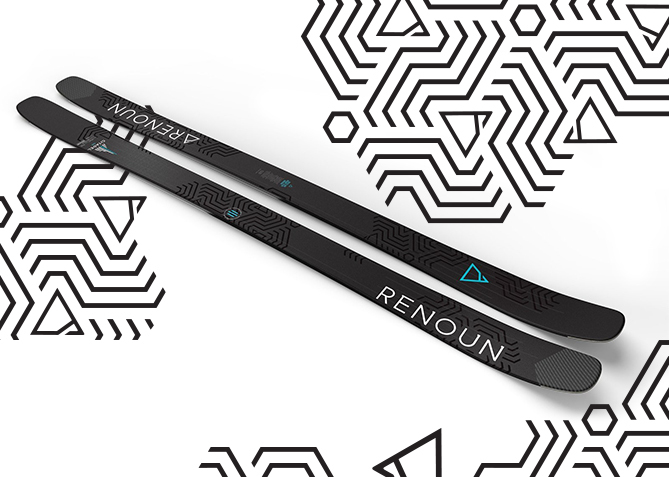 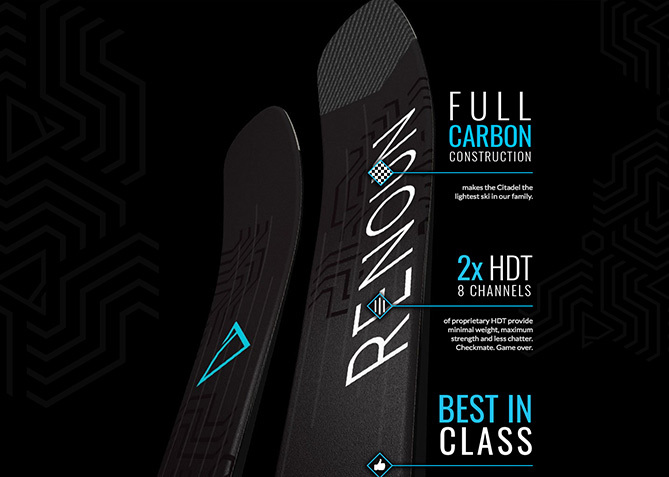 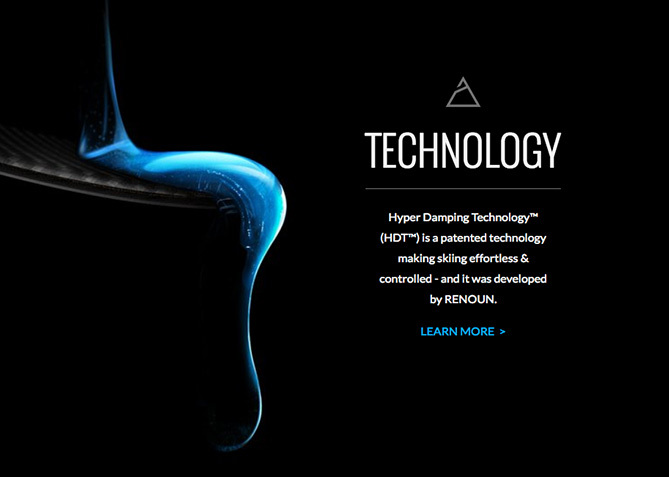 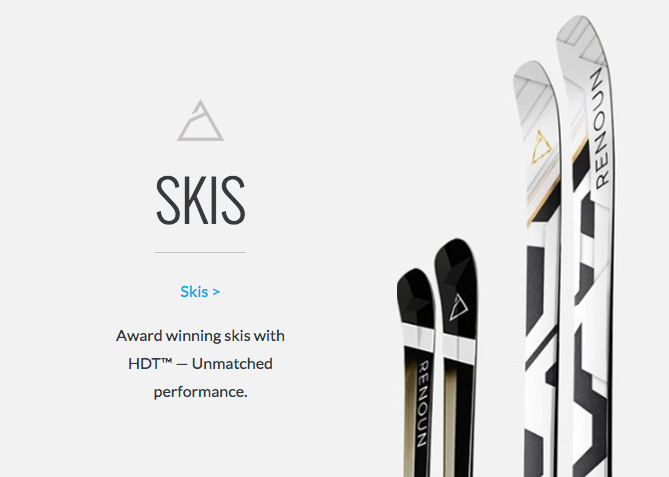 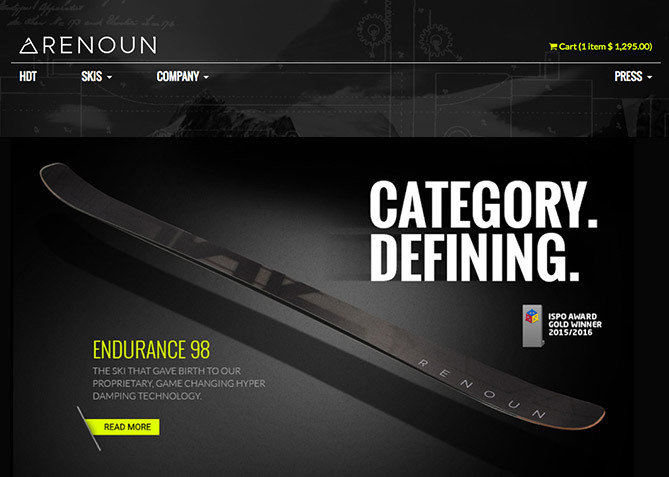 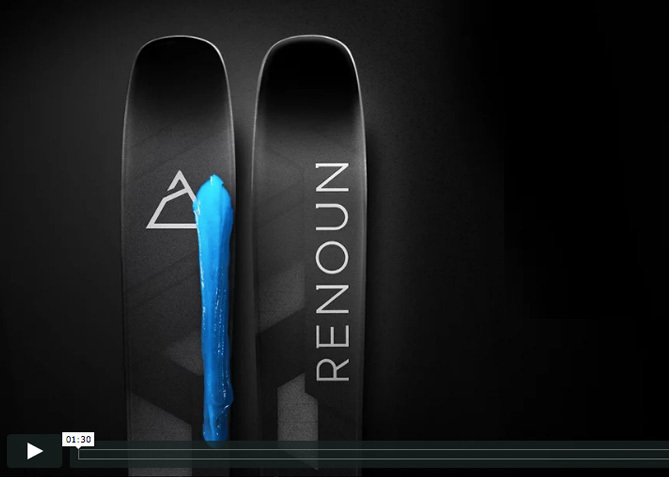 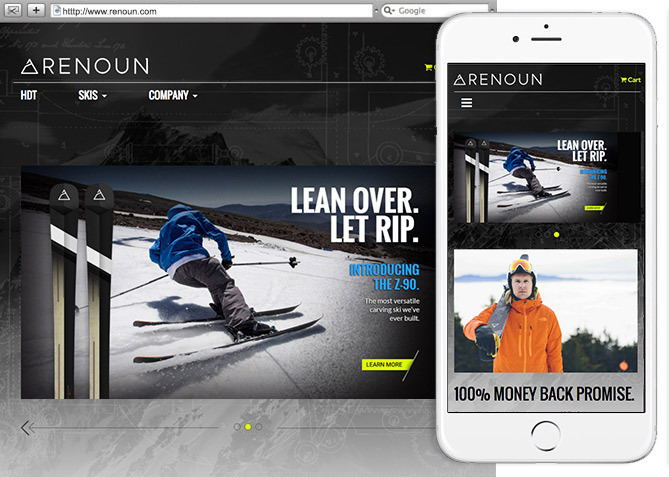 With a one-of-a-kind product to anchor its brand to, we helped RENOUN capitalize on their revolutionary strengths to define its place in the ski industry and break new ground — sparking the attention of national news and media outlets. 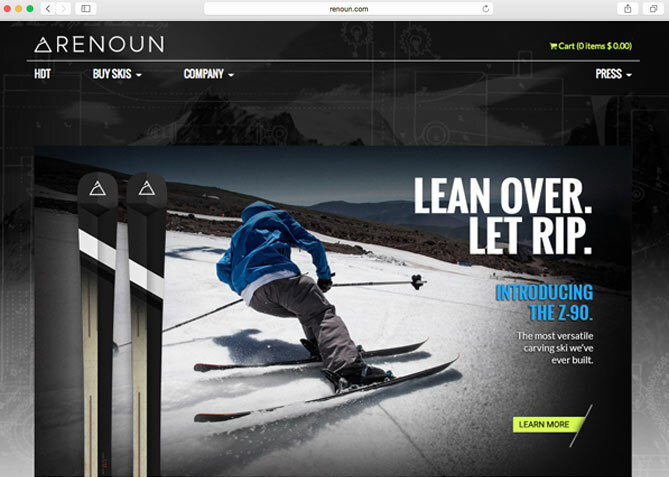 When the brand's founder was introduced to Non Newtonian Polymers in a Clarkson University material science class, the light switch clicked, and an innovative ski design was born (conceptually) — but the brand lacked a clearly defined direction and identity. 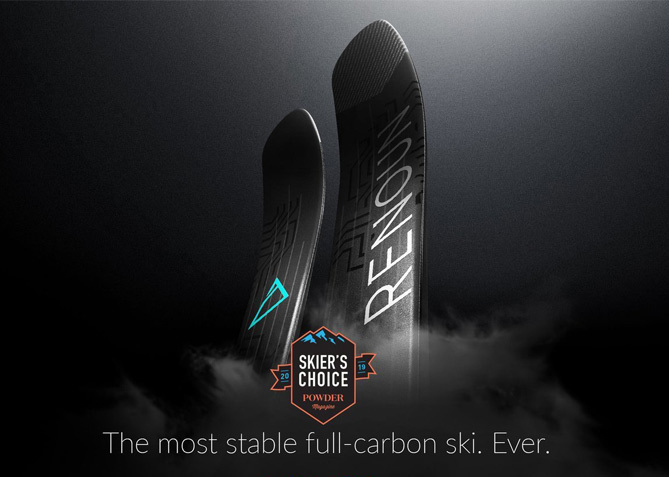 Once the concept became a reality, and an international design award was won, RENOUN knew it was standing on solid ground. 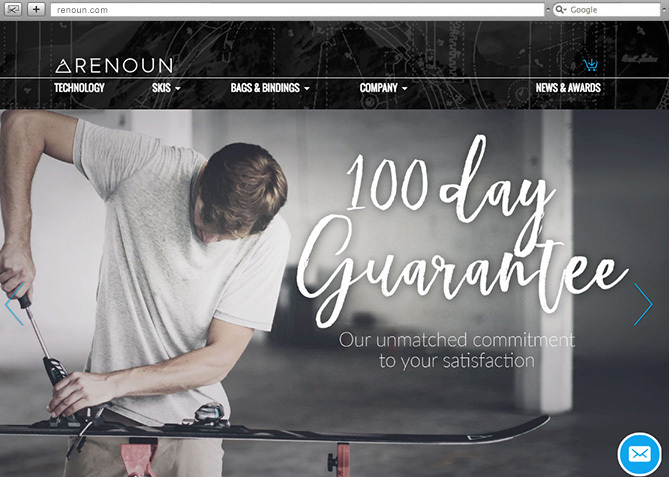 But often times product people are not branding people — so they called on Four Nine Design to help craft a unique branding niche for RENOUN to occupy. 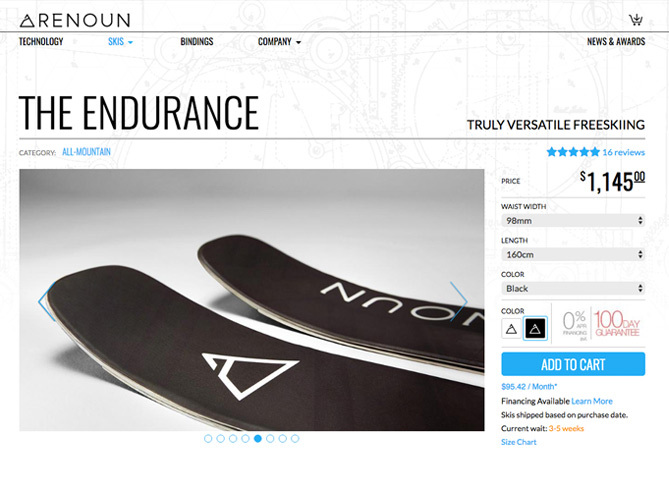 Sales have since spiked and the media can’t stop sharing their story. 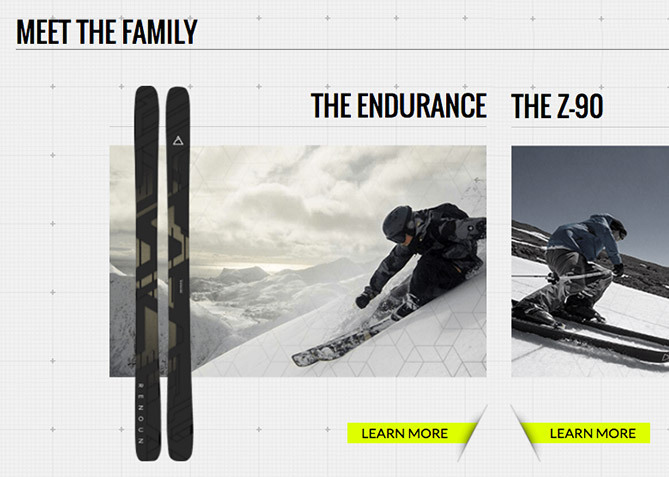 And their skis are amazing.